The family and fellow citizens of young Sarah Root (21), who was killed by a drunk illegal immigrant from Honduras, continue to press for answers. The Root family is seeking signatures to protest how the case of Edwin (a.k.a. 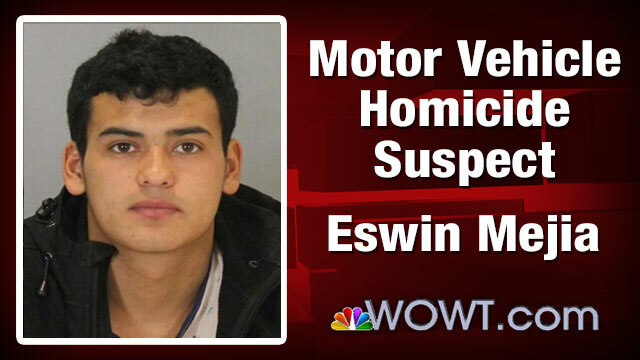 Eswin) Mejia (19) was handled by Douglas County Judge Jeffrey Marcuzzo of Nebraska. 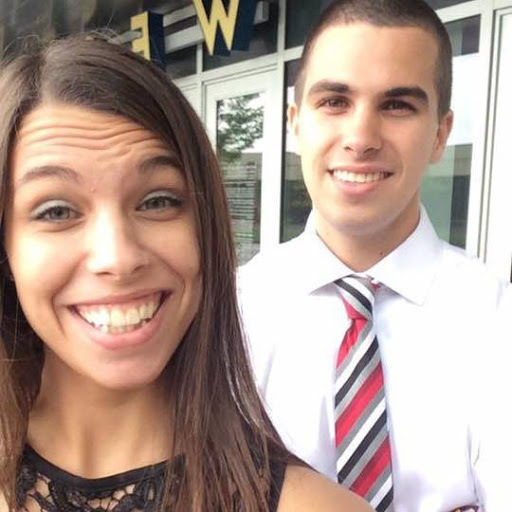 Sarah was killed in a traffic accident on January 31 by Mejia, who was participating in a street race when he smashed into the young woman’s car in February. When arrested in Omaha, Mejia blew .241 on an alcohol test, which was three times the legal limit. The Root family has gathered to publicly denounce the ruling Marcuzzo handed down, which required a $50,000 bond but which allowed Mejia to pay but $5000 to bond out on February 5. He then fled. Mejia’s current whereabouts are unknown; some theorize that he may have returned to Honduras. Scott Root, Sarah’s father, said while “Nothing can bring her back,” he will not give up until justice is done. Their community in Nebraska has shown an outpouring of support. The Root family is gathering signatures that they plan to provide to Nebraska’s Supreme Court within 60 days, which will include a complaint about the judge. The Root family says that the low bond was the reason their daughter's accused killer is at large. Straight-A student Sarah Root had graduated Bellevue University on the day she died. "When she died, part of us died,” said Scott Root, mother Michelle Root blamed the “under aged, drinking, street racing illegal immigrant." The family also puts blame on the U.S. Immigration and Customs of the Department of Homeland Security for failing to keeping Mejia when alerted to the seriousness of the crime and that he is an undocumented alien. Responding in a letter to questions raised by Sen. Sasse, ICE Director Sarah Saldana said that Mejia was first arrested when he illegally entered the United States in 2013. However, because he was a minor at the time, he was accorded the status of “unaccompanied minor” since he came from a country non-contiguous to the U.S. He was then released and never deported. “In May 2013, Edwin Mejia was encountered by the U.S. Customs and Border Protection, U.S. Border Patrol (USBP) near Nogales, Arizona, after entering the United States without inspection. At the time of this encounter, Mr. Mejia was 16 years old and determined to be an unaccompanied child. Shortly after the initiation of removal proceedings against him with the issuance of a Notice to Appear, he was transferred to Department of Health and Human Services; Office of Refugee Resettlement (ORR), as required by law. Mr. Mejia had no recorded criminal history in the United States at this time. “In June 2013, consistent with applicable law, ORR released Mr. Mejia to his brother in Tennessee. In early 2014, Mr. Mejia relocated with his brother to the Omaha, Nebraska area,” Saldana’s letter said. Mejia was scheduled for a hearing before an immigration judge on April 19. Saldana’s letter to Sen. Sasse appeared to walk back ICE’s initial decision about Mejia. “After further review, we believe that further enforcement action would have served an important federal interest in this case, as provided for in Secretary Johnson’s November 20, 2014 civil immigration enforcement priorities memo,” she wrote. 1. Who exactly at ICE was responsible for evaluating whether Mr. Mejia was a threat to public safety? 2. Why did ICE decline to detain Mr. Mejia, despite several requests to do so by the Douglas County Police Department? Were each of these requests denied on a case-by-case basis? 3. In its public statement, ICE referenced the November 20, 2014 immigration executive actions. Why does ICE believe that new policy required the agency not to detain Mr. Mejia? 4. Did anyone within ICE consider Mr. Mejia a flight risk? What steps were taken to ensure he did not flee the country? 5. What is ICE doing now to find Mr. Mejia? 6. Do you consider Mr. Mejia to be a threat to public safety? On April 5, Saldana gave confusing answers to Sasses during a committee hearing on Capitol Hill. Saldana said that because Sarah had “not passed away” at the time Mejia was bailed out of jail, it did not honor the Omaha police department’s request to detain him. Her comment does not appear to be accurate because Root died just hours after the collision. In her letter to Sen. Sasse, Saldana acknowledged that ICE could have acted differently. However, she pointed out that if ICE had taken Mejia into custody after his bail amount was set by Judge Marcuzzo, he still would have been eligible for a bail hearing before an immigration judge because he had no conviction subjecting him to mandatory detention. In addition, even if he were convicted, Saldana wrote that it would not be “a crime of violence under the immigration laws” and therefore not considered an aggravated felony. “The conviction would not render him subject to mandatory detention, nor would it significantly impact his eligibility to apply for relief or protection from removal,” she wrote. Saldana wrote that ICE also is committed to making sure that Mejia faces justice and is continuing to work with Omaha law enforcement officials and the Honduran government on the case.